International dialling codes by country. What are dialling codes for? With dialling codes, you can use the phone service internationally. They not only allow you to reach a person in another country but identify a call from abroad as well. 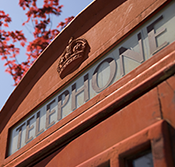 Put simply, dialling codes allow telephone communications to be established between different countries. We provide you with all existing dialling codes to make it easy for you to call abroad. All you have to do is simply select a country to find out its dialling code. Find the dialling code corresponding to your search. Every country has its own specific code for international calls. These are the dialling codes.